General Insurance | CWF GROUP INC. Through our partner Ampex General Insurance we feature many of Canada’s most well-known and trusted insurance companies. By providing quotes from such a broad range of providers across multiple product lines, we are able to help consumers find the lowest insurance rates in a way no one broker or agent can. The corporate division looks after all the insurance needs of corporate businesses, their directors and senior officers and high net value individuals. The retail division caters to the insurance needs of small to medium size businesses and building owners, retail shops and offices, personal home, personal and commercial automobiles, travel and health insurance. Commercial Umbrella Liability policies are written as a supplement to commercial general liability insurance policy and will pick up where a commercial general liability insurance policy ends. The umbrella policy increases the amount of coverage available so that, if the commercial general liability insurance falls short of the amount of actual loss (claim), the commercial umbrella coverage will take care of the rest up to the limit purchased. It will also cover some losses not covered by the commercial general liability policy such as slander and defamation of character. Errors & Omissions (E&O) liability insurance protects professionals including accountants, architects, brokers, consultants, engineers & lawyers against claims arising from their actual, or perceived negligence, errors and mistakes in the performance of service for others. This is an essential insurance for anyone providing advise and counseling, especially in today’s increasingly litigious world. Directors and Officers (D&O) liability insurance, commonly referred to as D&O insurance, has been designed specifically to provide financial protection in the event that mismanagement claims are made. Lawsuits against officers and directors of big corporations have become commonplace in recent years. Investors, workers, and even other companies can sue a corporation’s director and officers for corporate mismanagement. Commercial General Liability (CGL) insurance will protect your business from claims arising from bodily injury, property damage, personal injury, medical expenses and tenants legal liability. This coverage pays compensatory damages imposed by lawsuit. Most forms of CGL will also pay legal fees incurred to defend you. Brokers are invaluable in the role of explaining and providing the proper package for your business. Liability coverage is available and can include training, martial arts, or dance studios as well as fitness clubs. Coverage options include: participants’ coverage contract trainers and volunteers coverage comprehensive general liability, including professional liability voluntary compensation advertisers liability and more! Your antique or classic car is a prized possession. There are packages that can be designed specifically for your vehicle and the way you use it —be it Sunday drives with the family, or weekly auto shows — their are packages that are right for your vehicle whether it is in your backyard or being used across the country. Their may be options of adding your antique or classic vehicle to your existing personal auto policy or writing it on its own specialty policy. You’ve worked hard to earn the time to play! We know how special your recreational vehicle is to you. Whether it be your motorcycle, snowmobile, ATV or other recreational vehicle, we can help you find the right broker to find the best policy for you. Your motorhome or trailer is an important investment — a home away from home for you and your family. We know it’s important to protect this investment, and finding the best insurance policy for you with competitive rates for motorhomes and more, including packages that protect your contents and accessories such as awnings. 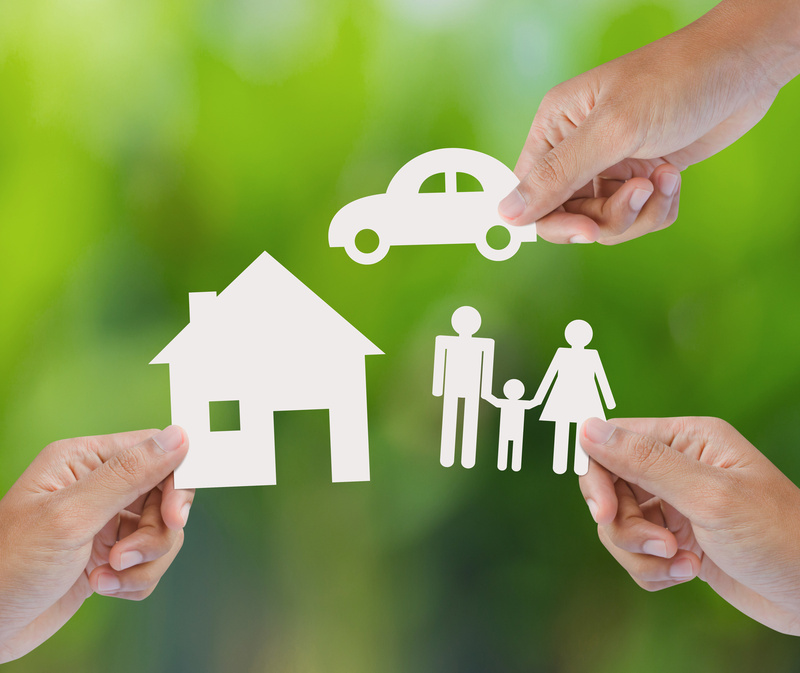 Quote your insurance policy with many different companies. This means making sure you are getting the best price and best coverage to meet your needs, year after year. We know insurance can be confusing – and our referred brokers are here to help you. Applying discounts are one of the best ways to keep your insurance policy costs down. By examining each policy renewal individually each year, ensuring you’re getting the best price for your needs. Policies are available for your boats, including outboards, inboard/outboards, runabouts, cuddy and cabin cruisers, trawlers, pontoon boats, sailboats and yachts, and other personal watercrafts. Coverage is tailored to each watercraft insured! Insurance on your watercraft isn’t a requirement (unless a lender requires it), but it is still a wise choice. Coverage may be purchased for your physical watercraft, equipment, and motor, but more important is the liability insurance which comes with a watercraft policy. This protects you in the event you are sued due to accidental property damage or bodily injury. Condominiums are not the same as freehold dwellings, and of course this means the insurance for them must be different —including coverage for your improvements or renovations to your condo’s interior, and coverage for losses suffered by the condominium corporation as a whole. What is personal umbrella liability? ‘Personal umbrella liability insurance’ is a policy you can purchase to give you added liability insurance above and beyond the limits you already have on your homeowners, auto, and watercraft personal insurance policies. This policy is designed to “kick-in” when the liability on other current policies has been exhausted. This policy can also respond to claims which are not covered by your regular home insurance policy, such as slander. Sometimes you just need to get away! We understand that, and know that you would never want anything to happen to your home away from home. Put your mind at ease with an insurance policy tailored just for your cottage or seasonal home. Home business insurance is something people often overlook. There are instances where an individual thought their business activities would be covered under their home insurance policy. Not only is this false, but your home-based business activities can void your home insurance. What kind of home-based business insurance do you need? The answer depends on what type of business you own. When you’re renting, insurance is for more than your personal belongings. Tenant’s insurance policies which protect your belongings as well as provide liability coverage to protect you should you be sued for accidental damage to others, or other’s property. All general insurance transactions are closed by Ampex General Insurance Brokers Ltd. unless specifically noted otherwise.